From July 4 to 10, Toronto will host the Pan Am flame. To celebrate, the City of Toronto is holding five community celebrations to welcome the TORONTO 2015 Pan Am Games Torch Relay to the city. Event programs for each of the celebrations are detailed below. Toronto is the final leg of the Pan Am Games Torch Relay before its last stop at the Opening Ceremony for the Pan Am Games on July 10. The first community celebration to welcome the Pan Am flame to Toronto will be held on Saturday, July 4 at the Prince Edward Viaduct (Bloor Viaduct) and will include the inaugural lighting of the Luminous Veil. This event will be held from 5 to 11 p.m.
Sunday, July 5: Toronto Pan Am Sport Centre (which will be known as the CIBC Toronto Pan Am/Parapan Am Aquatics Centre and Field House during the Games), University of Toronto Scarborough campus, noon to 4 p.m.
Tuesday, July 7: Albion Arena, 5 to 9 p.m.
Wednesday, July 8: Mel Lastman Square, 11 a.m. to 3 p.m.
Thursday, July 9: Nathan Phillips Square, 5 to 9 p.m.
Each event will include the arrival of the Pan Am flame, the lighting of the community cauldron, official remarks from government and torch relay partners, and music and performances that highlight the Pan American culture and spirit. Performers include Lisa Odjig, Kobo Town, Maracatu Mar Aberto, Amélie et Les Singes Bleus, TD Dots Finest, BBoy and BGirls, Maestro Fresh Wes, Parichay, Samba Squad and Henry Flow. There will be a special announcement at midnight on July 3 to reveal the headline act for the Prince Edward Viaduct community celebration. All community celebrations are free, accessible and family-oriented, and will include sport activities for all ages, sponsor activations and food trucks. Toronto’s community celebrations are part of the City’s Host City Showcase Program. More information about each event program is available at bit.ly/1L3eMza. The five community celebrations are not the only the opportunity to see the Pan Am flame while it is in Toronto. The torch relay will spend seven days visiting neighbourhoods across the city and will be stopping at a number of community locations. The City has also named 16 community torchbearers who were identified for the contributions they have made to their communities. Full biographies for each community torchbearer are available at bit.ly/1L3eMza. Torontonians are encouraged to come out along the relay route and cheer on the torchbearers who will carry the Pan Am flame through city streets. 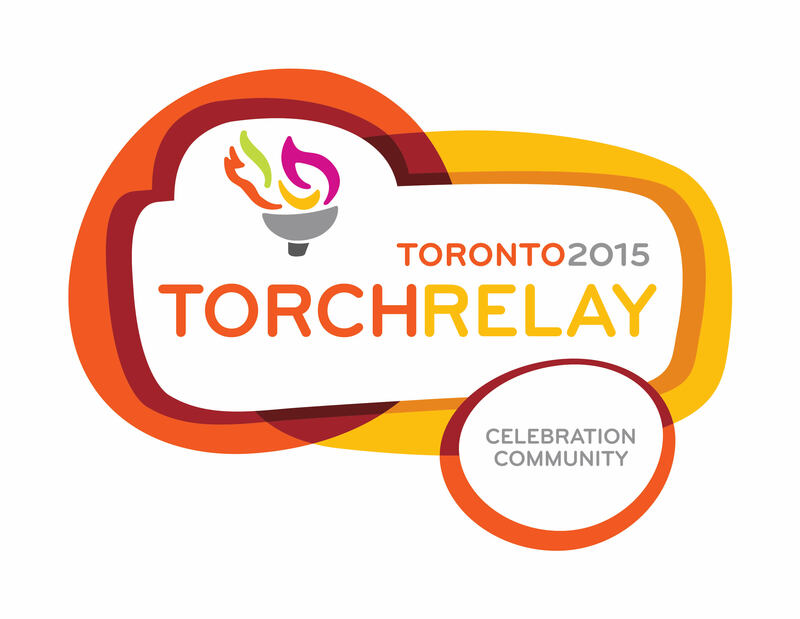 More information about the torch relay route is available at toronto2015.org/torch-relay. The public is reminded that there will be road closures and rolling road closures as the relay travels through city streets. Residents and visitors are encouraged to use public transit, carpooling, cycling or walking to the community celebrations and to watch the relay. Those who are driving should allow extra time to get to and from their destination. More information is available at toronto.ca/panam2015. Time: 5 to 11 p.m. Performances include: Lisa Odjig, Kobo Town, Maracatu Mar Aberto, Clay & Paper Theatre, Amélie et Les Singes Bleus and DJ Linterna. The Pan Am flame will arrive at 7 p.m. and will be followed by official remarks by government and torch relay partners. Official remarks for the lighting of the Luminous Veil will begin at 9 p.m. The headlining act will perform at 9:15 p.m. and the lighting of the Luminous Veil will take place at approximately 10 p.m.
A special announcement about the headlining act will be made at midnight on July 3. Location: University of Toronto Scarborough Campus, 875 Morningside Ave. Performances include: Lisa Odjig, Maestro Fresh Wes and Henry Flow. The Pan Am flame will arrive at 2:45 p.m. and will be followed by official remarks by government and torch relay partners. Performances include: All Nations Juniors, Les Chiclettes and Samba Squad. The Pan Am flame will arrive at 12:30 p.m. and will be followed by official remarks by government and torch relay partners. Location: 100 Queen St. W.
Performances include: Maracatu Mar Aberto, TDots Finest Bboys and BGirls, Les Chiclettes, Live Art by Essencia Collective and DJ Grouch. The Pan Am flame will arrive at 7 p.m. and will be followed by official remarks by government and torch relay partners. Athletes from Team Canada who will be competing in the TORONTO 2015 Pan Am Games will also make a special appearance during the celebration. Toronto is Canada’s largest city, the fourth largest in North America, and home to a diverse population of about 2.8 million people. It is a global centre for business, finance, arts and culture and is consistently ranked one of the world’s most livable cities. Toronto is proud to be the Host City for the 2015 Pan American and Parapan American Games. For information on non-emergency City services and programs, Toronto residents, businesses and visitors can visit toronto.ca, call 311, 24 hours a day, 7 days a week, or follow us @TorontoComms.